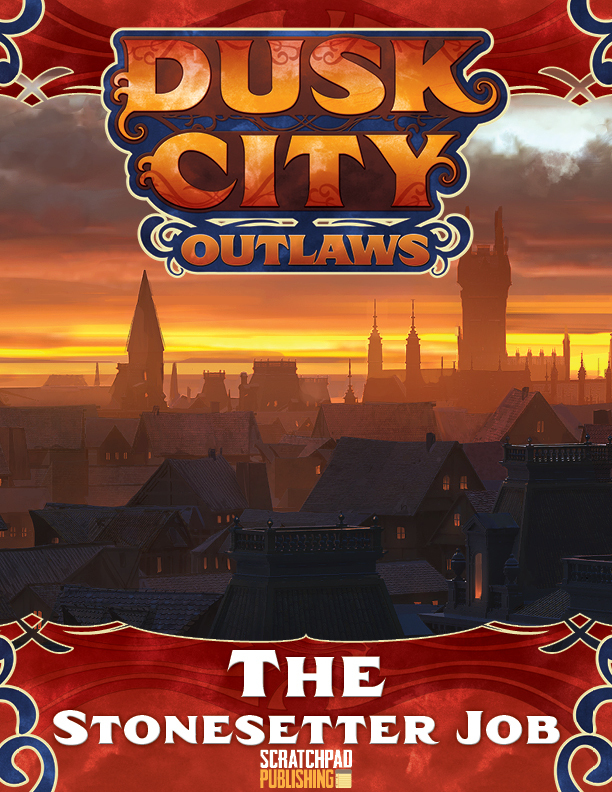 The Stonesetter Job is a scenario designed by Rodney Thompson to support the Dusk City Outlaws Kickstarter Campaign. It was played through live on the actual play video created to support the campaign. This Job is meant to be played over the course of 4-5 hours and involves stealing a valuable gem from the well-protected shop of an unscrupulous jeweler, Phargus Stonesetter.